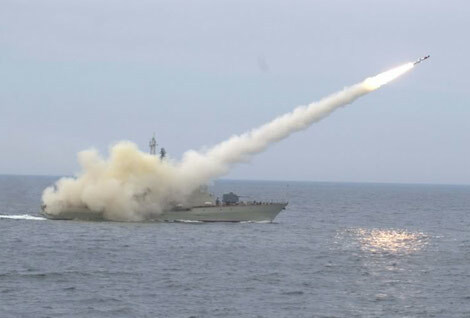 On the morning of 28/4, at Cam Ranh (Khanh Hoa) Navy Vietnam held missile test fired on two vessels HQ-377 and HQ-378. Attending this test fired General Phung Quang Thanh, Vietnam's defense minister and many leaders of other defense. Shortly after the end of the shoot, General Phung Quang Thanh has shot to the battlefield, and supports officers and 685 soldiers Union Navy. Ministers commended and recognized outstanding achievements of the whole unit has to unite and overcome the difficulties outlined many real solutions for implementing training, management, and ownership VKTBKT use new, modern . Minister Phung Quang Thanh Doan 685 requests in the future need to develop those outcomes have been achieved, continue to organize training, mastering VKTBKT, meet the assigned tasks.